When you storm out of the front door, slamming into the midnight, fast and antsy, thinking in angry fragments that whizz and whistle round your mind’s eye like burning shrapnel, oblivious to the cold air on your salty cheeks or the loud, quick, clip of your staccato boots echoing through the midwinter dark, and you walk and walk breathing sharp and jerky, until you take that long-deep breath that eventually and inevitably, cuts through the chaos, cools your lungs and you slow right down, frowning at the dark like you’ve just woken up mid sleepwalk. When you stop to blow your fingers warm because you’ve become aware that your hands are aching with the cold and you watch your powdery breath as it billows up into the starless dark catching an impossible sparkle from the glittering specks that’re starting to fill the air and you lift your head to watch – diamond mots morphing into lacy flakes – millions of them, swirling and swarming, landing on your outstretched hand, settling on the country track where they form a quick, white covering and you shiver and glance behind you, at the eerie trees lit by the amber gloom of a single street lamp their blue-black branches tapping and scratching like old, cold bones, and you turn for home, teeth chattering, walking fast again, not out of anger anymore, that dissolved as soon as you saw the beauty, but because the inky village has become full of looming shadows and weird noises and although the fallen snow is muffling your footsteps so they’re quieter than your heartbeat that’s pounding in your head, you wish they were quieter still and when you round that final corner, almost running now, you’re so glad to see the familiar thatch of home silhouetted against the wintery midnight that you fairly leap up the breathless steps, fling the front door open into a wall of warmth that reddens your hot-cold face and he’s stood right there, in the vestibule, wearing his fat salopettes and that old polar coat that’s been hanging in the Narnia wardrobe in the spare bedroom ever since that time you fancied learning how to ski, donkeys years ago. When the snowflakes in your eyelashes and hair melt in relief as much as anything else and you want to laugh and laugh because he looks so comical, but you don’t because his expression is serious – sort of angry and relieved at the same time, (he’s been worried sick and was just about to go and find you) so you shoot him that look, the one that always melts into smiles on both your faces, and you tumble into each other’s arms forgetting about everything else and make clumsy love right there in the vestibule, numb-finger fumbling with hilarious zips, lost in the intense white magic that the snowflakes are weaving as they land wild and silent in enchanted drifts just beyond the safety of the closed front door. 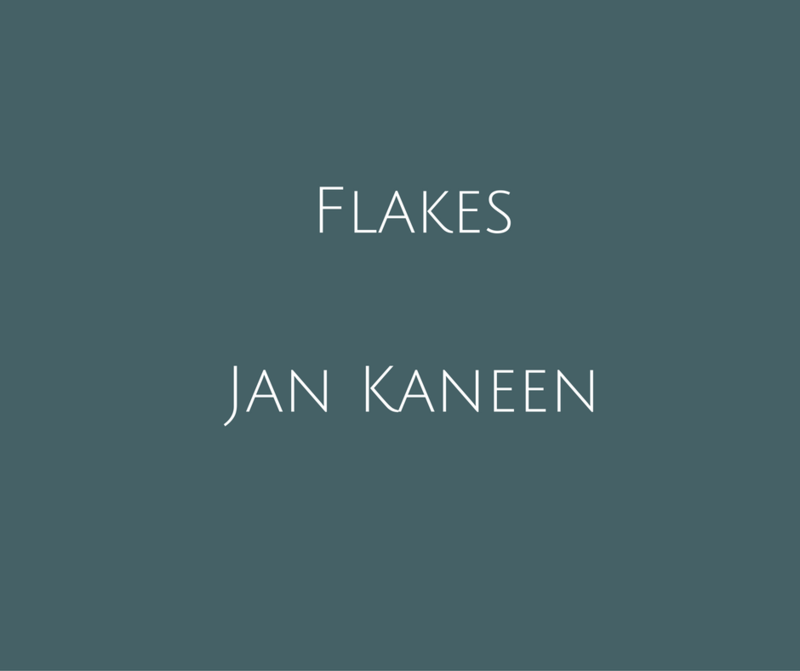 About the author: Jan Kaneen is doing an MA in Creative Writing at the OU and trying…really trying to write a novel. The Flash fiction obsession helps with both, allegedly. She’s been published in several mags and lit-zines and so far this year has won comps at Molotov Cocktail, Ad Hoc, Zero Fiction as well as running up here.